WhatsApp has become necessary application with more people tending to use it across the different ages and cultures. The application allows individuals to communicate with each other conveniently using text messages and gives the possibility to send pictures, videos, and voice messages. Although you can create a backup, you may still find issues. You may even delete the conversation accidentally. If you are not sure about retrieving deleted WhatsApp history on iPhone, you can then read ahead to find out the methods through which you can recover the data. Supports the entire family offer iDevices. The procedure is useful for those who do not have the recent backup of the device. 1 Visit the official website and download the program for Windows or Mac. Install the software by following the onscreen instructions. Run the application, and from the principal screen choose "Recover from iOS device" option. Continue to the next step by clicking on the "Start" button. 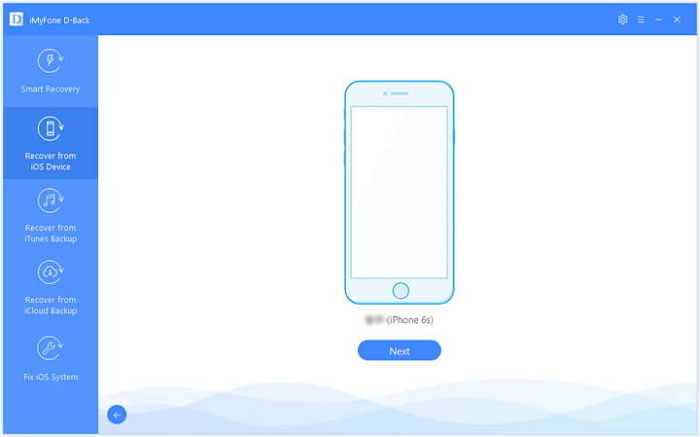 2 The program will ask you to establish a connection of the iOS device to the computer. Once the program detects the iPhone, click the "Next" button to begin the retrieval process. 3 In the next window, you can select "WhatsApp" under third-party IM app category. 4 iMyfone D-Back will display all the recoverable data in the preview interface. You can select only the needed conversations to preview or choose the entire data for recovery. Once selected, proceed to the recovery process by pressing the "Recover" button. 5 Asmall window opens up asking you to select the folder to save the recoverable data. Choose a folder on your computer and allow the program to complete the recovery process. You can browse the folder after the program finishes the recovery. It is quite common for a few people to create backups at regular intervals of time. 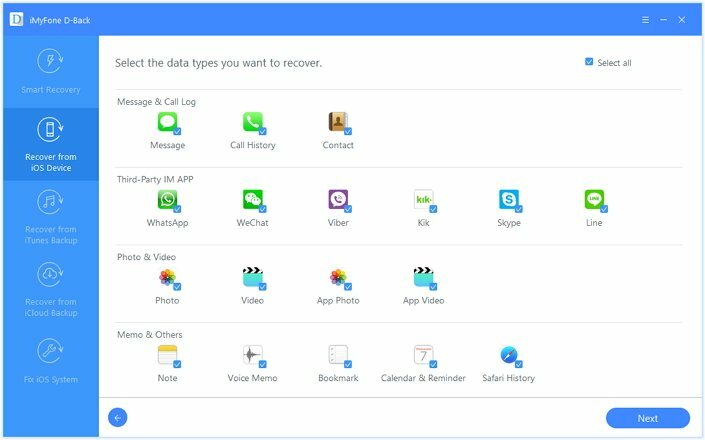 You can easily recover WhatsApp history from the backup. 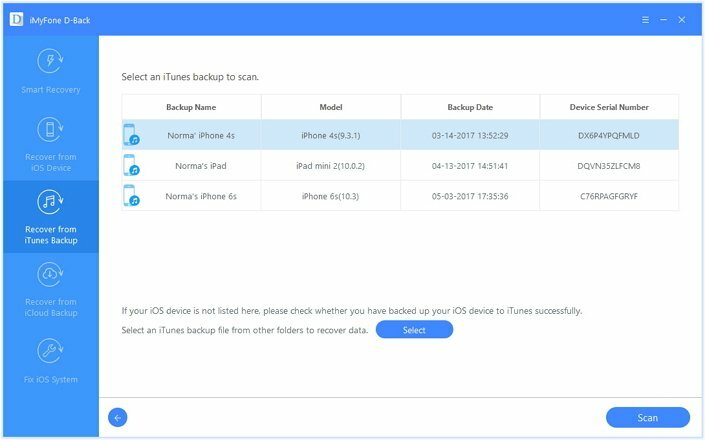 You can retrieve the history from iTunes backup or iCloud backup file. 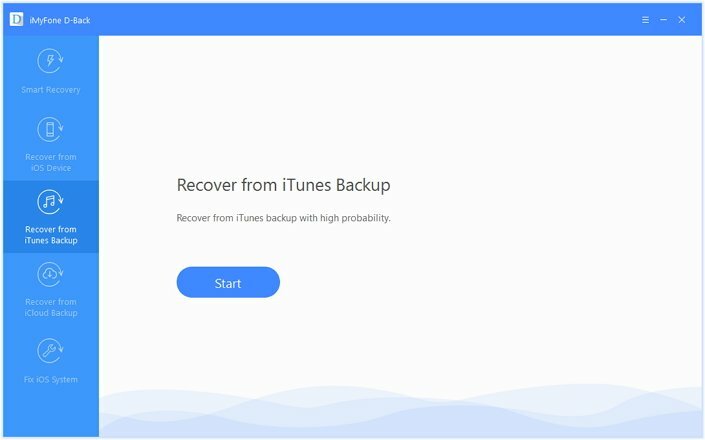 Let us look at the recovery process of the history using iTunes backup file. 1 From the main screen of the program, select "Recover from iTunes backup" option. Press the "Start" button. 2 You can then select "WhatsApp" as the recovery data on the next screen. Once done, the program will search for the available iTunes backup files. It will display them sequentially along with size and date. Pick the recent backup file and press the "Scan" button. 3 The scanning results will show the recoverable WhatsApp history in the preview interface. You can then select the conversations that you would like to retrieve or the entire history and proceed to the retrieval process by clicking on the "Recover" button. 4 As the final step, you have to select a folder to save the retrievable data. Allow the program to complete the process before you can surf the folder to view the recovered data. WhatsApp has become an important communication tool. 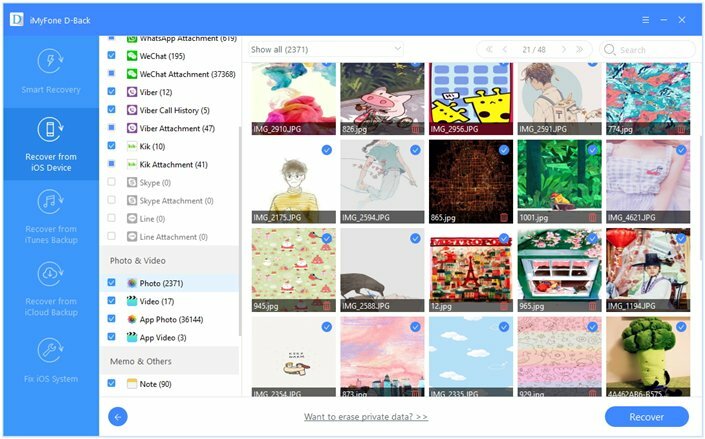 Although it gives the ability to create a backup of the history, there are cases where people have often accidentally deleted the data. With the guidance of iMyfone D-Back iPhone data recovery and the steps mentioned above, you can easily retrieve the history no matter how you lost it.